Mr. Shoecraft opened the law offices of Shoecraft ♦ Burton, LLP with Ms. Burton in 2004. The firm is and has been rated AV Preeminent by Martindale Hubbell, Judicial Edition, the highest possible rating in both legal ability and ethical standards reflecting the confidential opinions of both the bar and the judiciary, since inception. 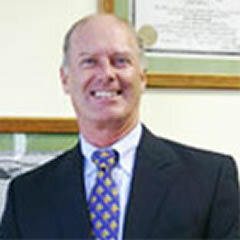 During the course of nearly 40 years’ experience Mr. Shoecraft has represented public and private companies, insurers, brokers, surplus lines brokers and other businesses in the defense and prosecution of complex personal and commercial insurance matters involving all lines of coverage, including professional liability matters. He has also devoted substantial time in representing parties in complex commercial, business, professional, environmental and construction liability matters. Mr. Shoecraft is an avid golfer and scuba diver and he enjoys travelling with his wife Maggie. They are both devoted San Diego Padres fans. United Enterprises, Inc. v. Superior Court (2010) 183 Cal. App. 4th 1004.